Alexander Gustafsson was waiting for over five years to avenge Jon Jones loss. In their first fight at UFC 165, Gustafsson fought great and surprised everybody. The match ended via close unanimous decision win for “Bones”. Yet, many believed “The Mauler” should have been claimed the winner of that clash. Jon Jones dominated Gustafsson during the first two rounds, and finished the fight at 2:02 in the third round. He took Alexander Gustafsson down, mounted his back, and delivered a few punches to the head before the referee Mike Beltran stepped in. “The Mauler” confesses he was unable to stick to his game plan because Jones “shut him down” early in the first round. 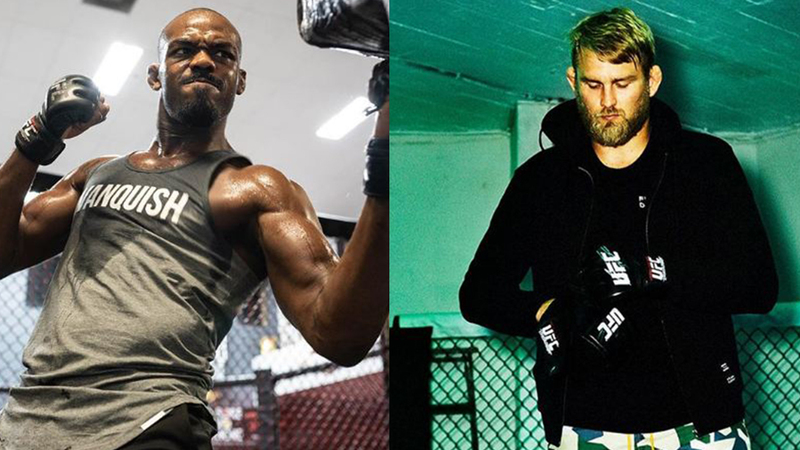 “I just hurt my groin in there, and Jon, he knew exactly what to do to stop my footwork and stop my movement and my flow, my distance,” Gustafsson said. “So he just made sure I couldn’t move anymore. That was it. He took me down and I couldn’t get up. “He got me very, very early in the first round, very early, and after that I just shut down. I wasn’t tired. I had my conditioning, I felt good. I felt good, and we had our exchanges and everything, but he just shut me down very early in the first round and that was it, and I couldn’t move at all. Alexander Gustafsson confesses he’ll think about moving to Heavyweight class in the future. But, for now, he plans to try securing a crack for a UFC Light Heavyweight title shot. “Let’s see what happens,” Gustafsson said. “You just have to heal up from this and then you take it from there and move on. It’s a sport. Sometimes you lose and sometimes you win. “I’m glad I took the fight and I’m glad that I got to fight Jon again. It’s just been a good ride and I’ve been enjoying it, every minute of it. It is what it is. Gustafsson assures that he hasn’t reached the end of the road. “It’s not over yet,” he added. It looks like this was a very painful defeat for Alexander Gustafsson. What do you think, why did the Swede fighter have such a bad day at UFC 232? Please share your thoughts!